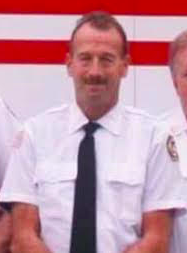 Nyack volunteer firefighter David Jahnes died on Monday Dec. 18 from a heart attack after responding to an emergency call at a bank that morning. He was responding to a call regarding noxious fumes at the Chase Bank in Nyack when he fell ill after getting off of the fire truck. He complained of shortness of breath and chest pains before being taken to a hospital. The 58-year-old was initially taken to Nyack Hospital then transported to Good Samariatan Hospital in Suffern. His identity was confirmed to the community through a Nyack Fire Department Facebook post. Jahnes joined the patrol in 2001 and served as captain from 2008-11. A service will be held on Dec. 28 with visitation from 5 to 6 p.m. followed by a firematic service at 6 p.m. Hannemann Funeral Home in Nyack is working to move the service to a larger venue to accommodate the expected large turnout.